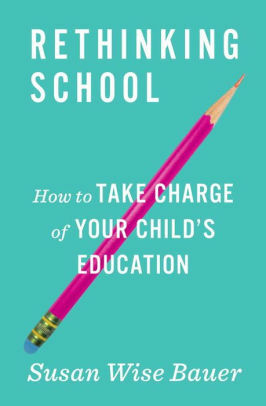 In Rethinking School, Susan Wise Bauer offers practical suggestions and background information for crafting the best education for your unique child. 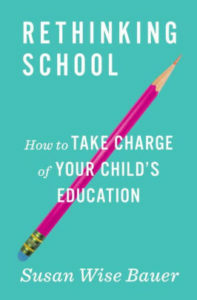 Rethinking School: How to Take Charge of Your Child’s Education by Susan Wise Bauer. Norton, 2018, 227 pages. Recommended for: Adults, especially parents of school-age children. If you’ve been homeschooling for a while, you may recognize the author’s name. When my kids were in high school, The Well-Trained Mind, co-written with her mother Jessie Wise, was a touchstone for classically-minded parents. Her History of the World series has provided Gen Xers and Millennials with a worldview far more expansive than their peers. Though I benefited from her work, she always seemed a bit too “academic” for me—not all students, homeschooled or otherwise, are equipped to pursue a life of the mind. With this book, she fully acknowledges that: school is more than academics, intellect can be other than propositional, and college is not for everybody, as much as Collegeville would like you to think so. In short, it’s time to rethink school! The book is mercifully short, and doesn’t go into a lot of detail about how our Prussian-born, grade-level school model developed in the US, but you can find that information elsewhere. The public school model works fine for maybe 10% of students enrolled in it, but if your child is struggling in the neighborhood school—or even at home—here are some ground-level ways to diagnose the problem, work out a strategy, talk to the teacher (if it isn’t you), and try alternatives. It may not necessarily be homeschooling, though the last section of the book lays out a general guide for getting started. But every child, as every parent knows, is different, with his or her own maturation timeline, inner rhythm, best modes of learning and retaining information. Some of the most helpful chapters include handy charts of learning disabilities and common standardized tests, ways of teaching to different intelligences, and tactful negotiations with the local school. Chapters 1-6 diagnose problems with public education and include “action plans” for dealing with them. 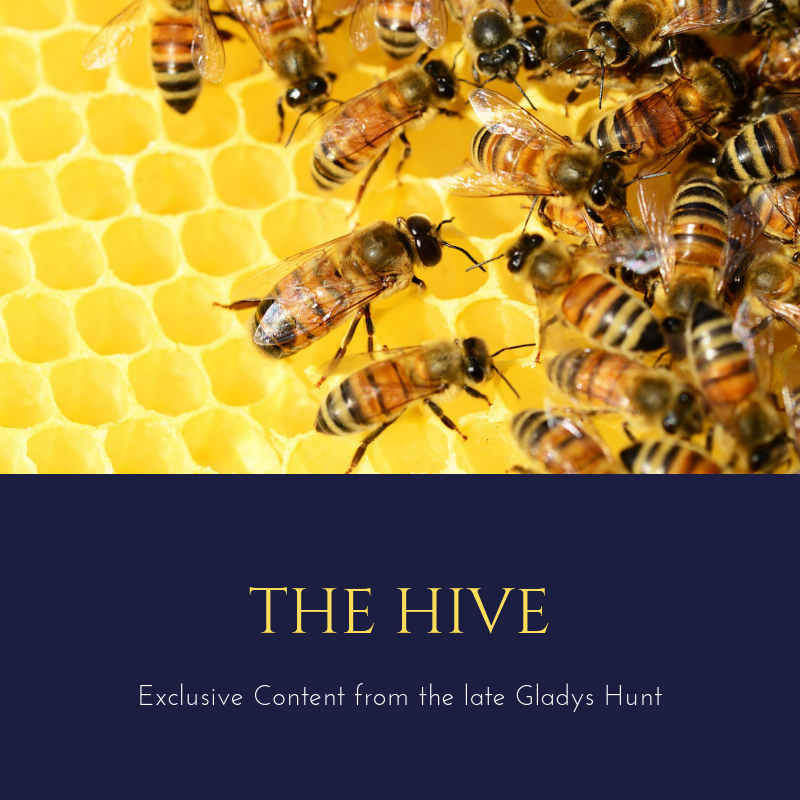 Chapters 7-12 present steps for parents to take control, with a guide to “The Way Forward.” Chapters 13-16 are the “Re-thinking” part, and she’s not kidding; she challenges all our assumptions about what education can and should be with thought experiments. Chapters 17-21 address getting started (or re-started) in homeschooling—where our assumptions still need to be challenged. I appreciate that Rethinking School is not presented as a prescriptive plan, but as a way for the parent to think seriously (in a way she may not have thought before) about what education is and what it should be for each child. Key question: not “What do I want my child to be able to do?” but, “What do I want my child to be?” (Hint: academics figure very little in that last question.) Also, “How do I help them discover what they want to be?” For parents with school-age children, there’s much food for thought—and re-thought.